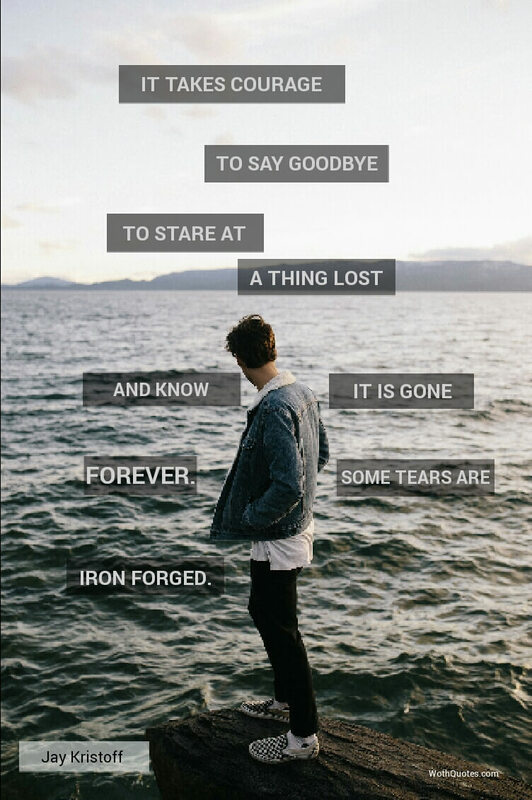 Goodbye is the hardest word to say. There are things that we sometimes need to take in life, things that are hard to avoid even after trying hard. That can be very painful as well. Some pain will leave, some pain will stay. It's all up to the individual himself. Below are quotes on goodbye. Every meeting led to a parting, and so it would, as long as life was mortal. Sometimes we must depart so that we may arrive. There is nothing ever pretty in saying goodbye. 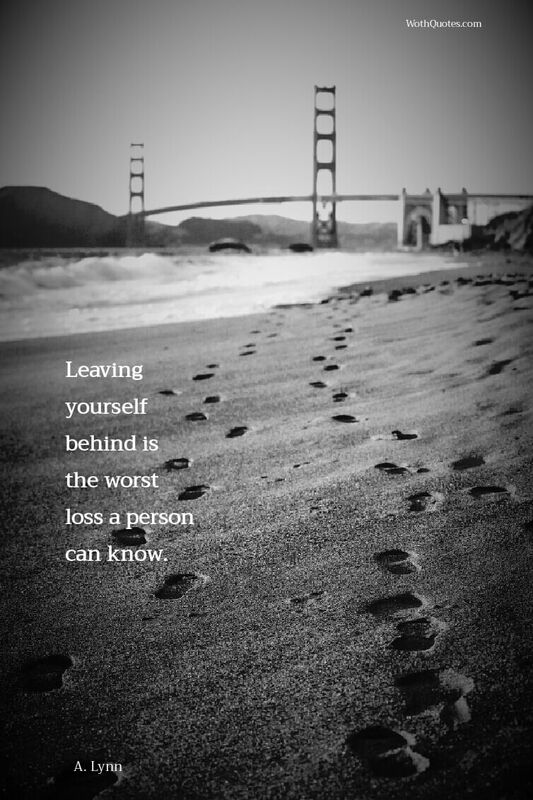 Leaving yourself behind is the worst loss a person can know. "It's not the endings that will haunt you but the space where they should lie, the things that simply faded without one final goodbye." The only thing meant to be was loving you knowing we would never be forever. "Maybe this was why I came, so I could really know. So I could say good-bye." It takes courage to say goodbye. To stare at a thing lost and know it is gone forever. Some tears are iron forged. "All changes, even the most longed for, have their melancholy; for what we leave behind is a part of ourselves; we must die to one life before we can enter another." Goodbyes make you think. 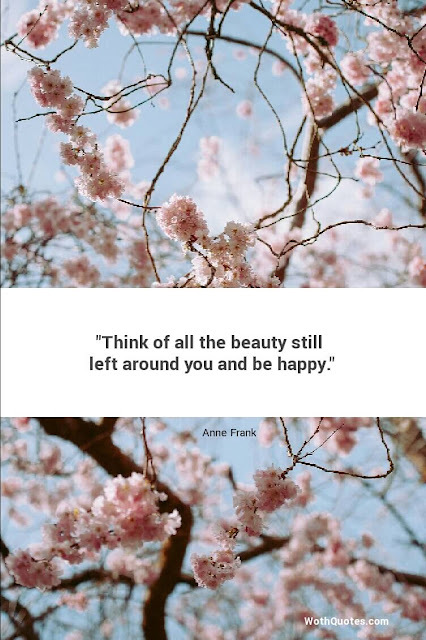 They make you realize what you've had, what you've lost, and what you've taken for granted. Everything begins and ends... Sometimes we just have to accept the facts that it's the end. "I didn't know how to say goodbye. Words were stupid. They said so little. Yet they opened up holes you could fall into and never climb out of again." Sometimes when you have to say goodbye to the one you love you can't say it because your heart won't let you. "I still cannot understand how he could abandon me so unceremoniously, without looking back even once. The pain is like an axe that chops my heart." Sometimes good-bye is a second chance. 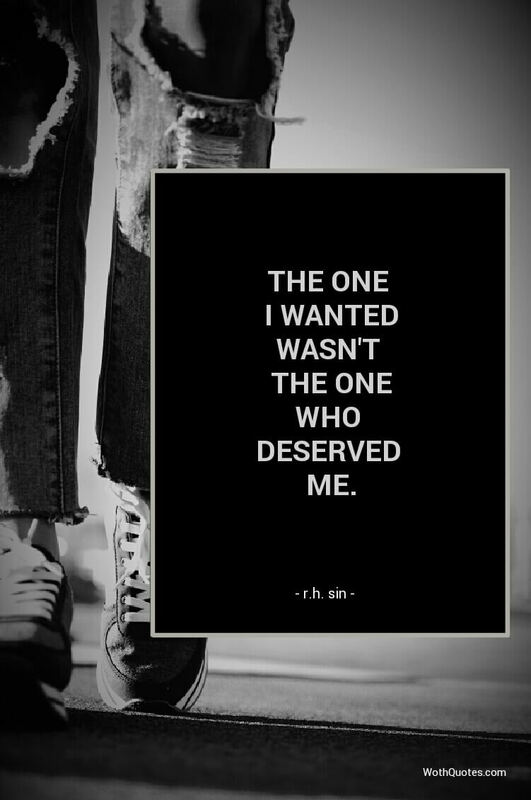 The one I wanted wasn't the one who deserved me. "Remember me and smile, better than forget me and say goodbye." 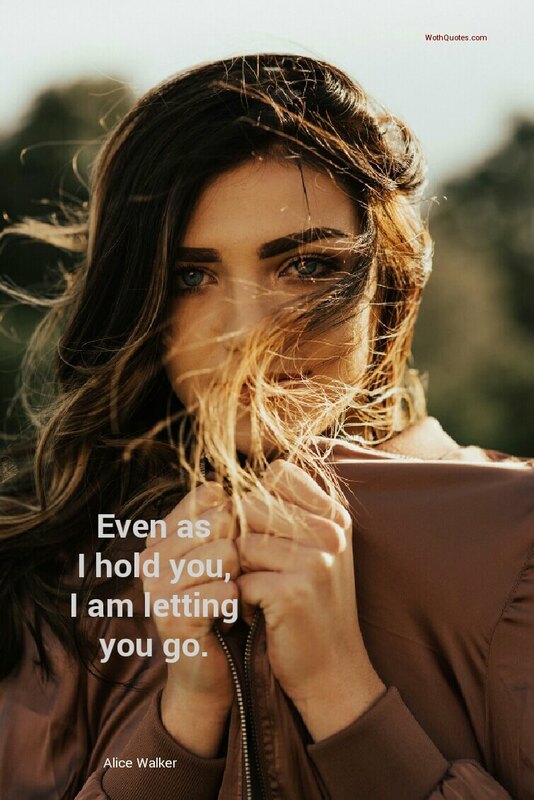 "I release you. I evict you from my heart. Because if I don't do it now, I never will." You never know what you had, until it's gone. 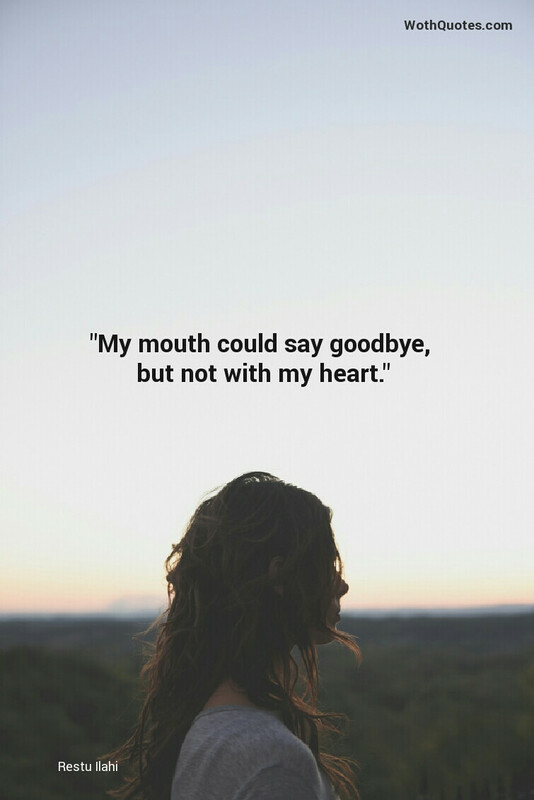 "My mouth could say goodbye, but not with my heart." "So that was that. We were finally, finally over." "In one goodbye, she feels all the goodbye that came before. She realizes she cannot bear even one more." "Do you know that pain of leaving when you look back expecting to see a face waving goodbye at you but you see is a dark abandoned corner? There won't be any reason to return then. All you can do is look ahead and not stumble and fall on the pit ahead waiting for you." "When I walk away, I want to know that I've made every last second I had with you count." 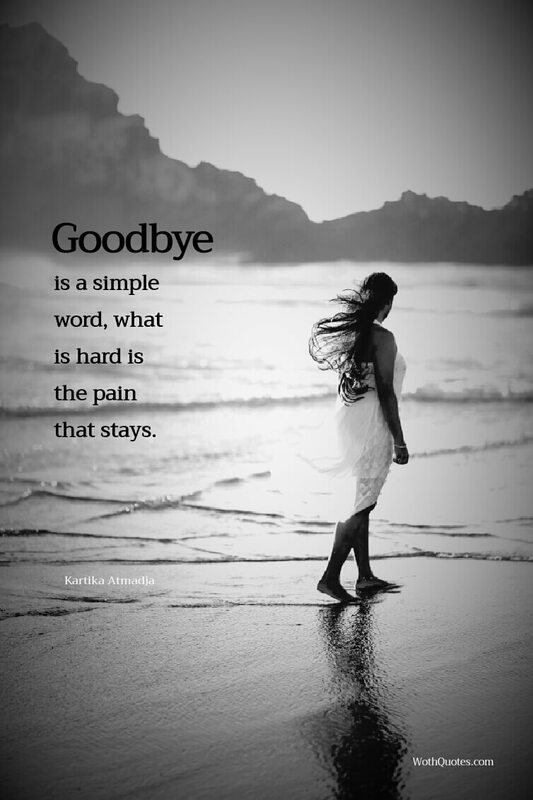 Goodbye is a simple word, what is hard is the pain that stays. It's easier to heal the pain when you've separated yourself from the ones that are cause it. There's nothing as painful as a goodbye from someone who gave you so many memories, and so much laughter and love. "I murmur something that sounds like "goodbye" but tastes like "hello." "Even now, every second I breathe, I wonder why I am still holding on to the pain and anger I have inside me, the pain and anger for not staying longer, and to understand the meaning of the look in his eyes; the look of goodbye from my late dad."